It came over on the Mayflower. That’s a line not uncommon in the antiques industry. However, seldom did that _____ (fill in the blank with just about any object: chest of drawers, family Bible, oil painting) actually have anything to do with Pilgrims and sailing ships. More often than not, the provenance of an object had gone a little screwy somewhere along the way. 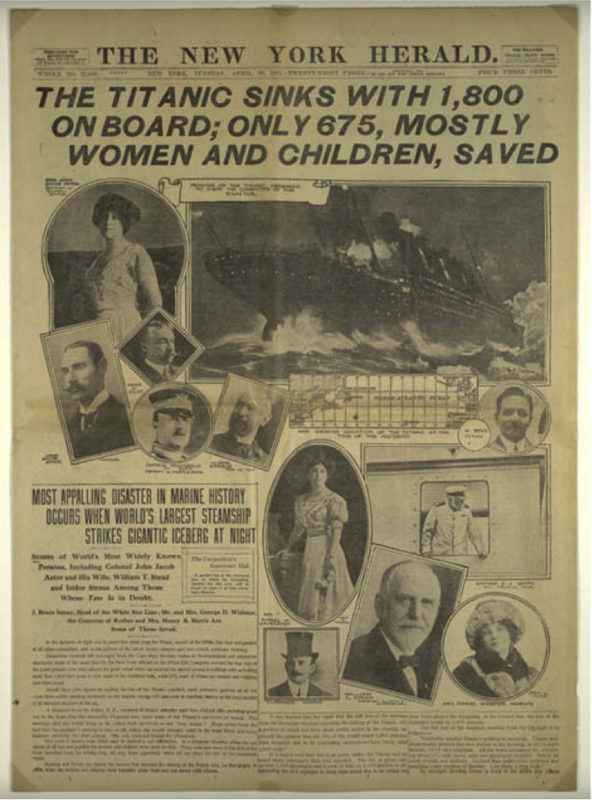 As such, it’s not surprising that a claim regarding the Titanic would surface. One such assertion was recently put to rest. It involves a woman who said she was a survivor of the 1912 tragedy. You can read the story here on Ancestry.com. It’s worth noting we’re huge fans and longtime subscribers of Ancestry. There’s a wealth of information on the site, not just for tracing family trees, but also for researching Americana when trying to connect an individual or company to a piece.